When we release an new executable, it is currently automatically downloaded by your BOINC software to your client. This results in a lot of network traffic though. We have received some great suggestions for how to improve the situation in this thread, inluding compression. For now, some users with lots of computers have suggested that we make the executable available in advance, so that you can download them once (if you wish) and copy them into the rosetta@home project directories for all your computers, and thus save bandwidth. Let us know if this helps! Note again that is totally optional, and if you don\'t do anything, you\'ll still get the application automatically. So... the steps would be??? I\'m just not sure what to do with a GZipped file. Do I have to unzip it? Or does BOINC know what to do with it? And then I drop it in to the /Program Files/Boinc/Projects/boinc.bakerlab.org_rosetta Windows subdirectory, and when I request new work, and it happens to be a WU for the new release, it will see I\'ve already got it, and know it doesn\'t need to download the new release (which is normally about 9MB these days). Also, wanted to point out that I think the BEST place to post a message with advanced notice about a new version would be the version release log. Folks that are interested in it are already subscribed to the thread and will get an EMail notification. They might not check the homepage or the message boards in time to be proactive, but are more likely to check EMail more frequently. For anyone that are unaware, it is not compressed (yet), but after a new version is released on Rosetta, the executables can always be downloaded from here and then copied to multiple PCs as needed. Unzip to the directory you mentioned, and BOINC will not download it again. Ok, so I installed from my Windows XP recovery CD recently... I must need to download a utility that knows what a .gz file is? Message 32620 - Posted: 14 Dec 2006, 5:23:04 UTC - in response to Message 32619. Feet1st, for Windows Zipgenius is free and an indispensable tool, it will uncompress/compress in just about everything. Rhiju, I\'m glad to see that you have put this on the front page, and had the foresight to place them in their own directory, as it takes me 28.593seconds (according to firefox) to load the http://boinc.bakerlab.org/rosetta/download/ page. Well, the Windows equivelant would be a .zip file. And I probably can\'t support those at the moment either. I guess the native support in XP is called a \"compressed folder\". Hi, Rhiju, I\'m very glad that your realize some of our suggestions so operatly. Thank you! 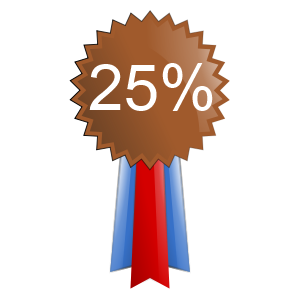 Pleased to see that Project developers with us :) And I\'m shure that this steps on the way of project optimization won\'t be last! I just wanted to remind people about Boinc\'s anonymous platform setting. If the app_info.xml file is present it will stop boinc from automatically downloading a project client. Message 32635 - Posted: 14 Dec 2006, 11:59:07 UTC - in response to Message 32632.
edit: add\'s proper bbcode tags. "Pain dosen't hurt, when it's all you have ever felt"
Message 32651 - Posted: 14 Dec 2006, 20:00:34 UTC - in response to Message 32635. \"Pain dosen\'t hurt, when it\'s all you have ever felt\". Yes. That particular genetic problem was discussed yesterday on NPR. --Finding aliens is cool, but understanding the structure of proteins is useful. Message 32702 - Posted: 15 Dec 2006, 15:37:51 UTC - in response to Message 32632. I think that is a really bad idea, as the new rosetta files are (mosly) better and help the research go further. Message 32734 - Posted: 16 Dec 2006, 8:02:01 UTC - in response to Message 32702. Message 32786 - Posted: 17 Dec 2006, 4:01:04 UTC - in response to Message 32734. I mentioned it because some people were complaining about how the boinc client automatically updates the Rosetta client. If people with a lot of machines wish only to download the client once, and then distribute the new Rosetta client to their farm, using the anonymous platform would work. They could download the new binary once and then update the xml file and distribute the binary and xml together to update their farm. However, \'normal\' crunchers shouldn’t use it. Wouldn\'t it also stop the crunching ? No, it would stop the boinc client updating the Rosetta client. That would totally depend on the differences between the Rosetta client versions. People use this method when they create/use custom project clients (like the optimized seti clients) or when their platform isn’t directly supported by the project... etc. Message 32799 - Posted: 17 Dec 2006, 8:49:24 UTC - in response to Message 32786. So it is a bad idea to use it then! Since we are testing out the actual clients abilities and refinements would/could scew the results. We\'ll unless someone like Mats is testing, but then I would assume he would do it at Ralph. Could it be made sticky. Message 35664 - Posted: 28 Jan 2007, 11:26:07 UTC - in response to Message 35653. I hope not as there are already way to many stickies. Also since it is only valid for a day or two before it is released in general it makes no sence. Really this one should have been deleted to stop confusion. We will be updating Rosetta@Home to 5.46 around 6pm PST today. You can download exectuables in advance at here. Since we have used UPX to compress the executables in the last couple releasees, we would like to ask your opinion on whether it is still necessary to send out release announcement in advance and if so, whether 6 hours in advance is enough for you to download the executables beforehand. Thanks. Message 36644 - Posted: 13 Feb 2007, 7:52:54 UTC - in response to Message 36630. I think for most people it is not so necessary, but for people that do have a lot of computers or netwroked over dial-up it does still take time, not so much in the downloading but in the getting each one setup for the new file. The other benefit is for the people using client override files (such as 64bit client users wanting to run the 32bit client etc..
A good idea to save you some trouble would be to setup another news section or just use technical news, add and RSS feed to that. then you can announce a new version. A day+ would be better since 6hours there is a good chance they will be in bed, a lot are from Russia and surroundings or here in Europe where they could easily be on dial-up or have pay-as-you go style broadband. Adding RSS means it can be easily monitored by the people that need it the most. If people want more lead time, they simply maintain a larger cache. The new release has been posted already, but I\'ve not requested a single WU since then, so I still have time to download \"in advance\" if I wish. Just a thought, there ARE some files that the project downloads only once... would it be possible to break up the executable in a similar mannar? So you\'d have a core of say 2/3rds of it which doesn\'t change very often? THAT would really cut the download size. Just breaking it in to 3-5 pieces would help a lot... as long as there\'s a way to refresh them when needed. Perhaps by changing the names? 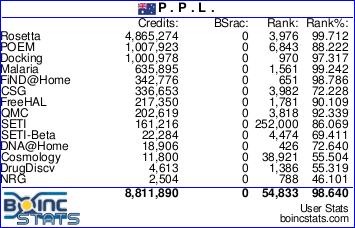 I\'m really not familiar with how BOINC handles the files.